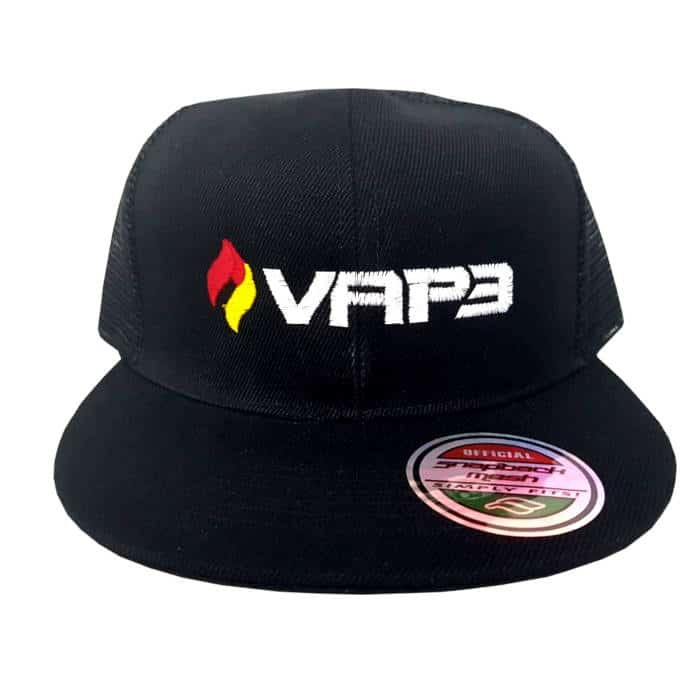 Black VAP3 Branded Snapback mesh cap. Black VAP3 Branded Snapback mesh cap. One size fits all. Also available in other designs and styles.